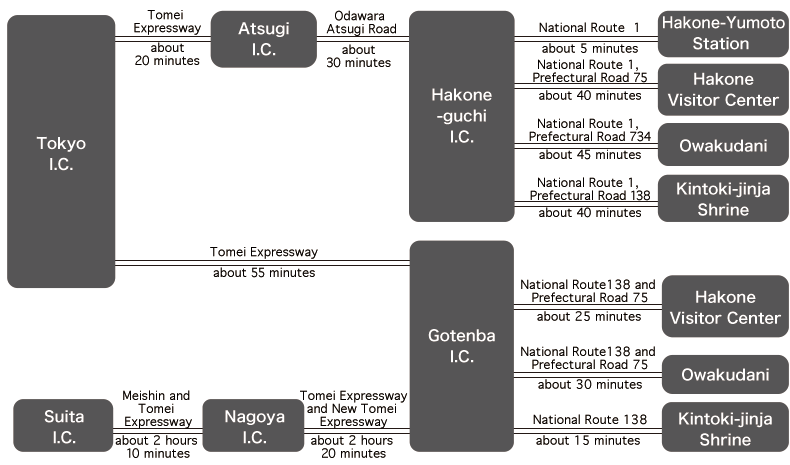 Access to Hakone from Tokyo and Osaka, and transportation facilities in Hakone. *Access routes are examples. The times required from one area to the other are estimates. For details please check with the information desks and websites of transportation organizations.